Mold weight :240 g. We will try hard to solve the problem for you. Finished item size : 18.5 9.5 1cm. Für den sicheren Tritt bei Nacht! INKL. ERDSPIEßEN! Matches21 XXL Trittsteine große Blätter Blatt-Form 1 Paar (2 Stk.). Tritt-Steine Beton Garten 35x18 cm dekorative Tretsteine. Auch bekannt als: Ziersteine Zierblattform Gartenblattabdruck Dekosteine Tretsteine Tritt-Steine. Tritt-Steine Beton für den Garten 35x20 cm Tretsteine Dekosteine Deko. Tritt-Steine Beton für den Garten 35x14 cm Tretsteine Dekosteine Deko. Auch bekannt als: Ziersteine Zierfüße Gartenschuhabdrücke Dekosteine Tretsteine Tritt-Steine. Mit diesem schönen, nachtleuchtenden Trittstein finden Sie nun auch im Dunkeln ganz einfach den richtigen Weg. Holen Sie sich etwas keltische Mystik in Ihren Garten, da werden Ihre Gäste und Nachbarn staunen. Trittplatte Wabe Set 5 Stück lose. 1 LB Melfleux 2651 F Concrete Additive Water Reducer Super Plasticizer. 1 LB bag Concrete additive-Water reducer-Super plasticizer. Free-flowing, spray dried powder of modified polycarboxylic ether. Dry-mix concrete. Tile adhesives and joint fillers. These types of superplasticizers typically contain certain side chains based on polyethylene glycol. Easy to use for all ages and experience levels. Matches21 XXL Trittsteine große Blätter Blatt-Form 4 Paar (8 Stk.). Tritt-Steine Beton Garten 35x18 cm dekorative Tretsteine. Auch bekannt als: Ziersteine Zierblattform Gartenblattabdruck Dekosteine Tretsteine Tritt-Steine. Paver Stone Mold. Pathmate, Concrete, Stepping, Stone, Mold, Random, New. Concrete Stepping Stone Mold. Stepping Stone Mold. The stone making instruction also available on GlobMarble web site. Here is a set of 3 plastic reusable edge stone molds that can be used to recreate these parts over and over again. The mold is made from ABS plastic with a thickness of. 060. By Spoontiques. this beautiful garden stepping stone reads. and can also be used as a decorative wall plaque. "No longer by my side. but forever in my heart.". Fossile Waschbecken. Lampen & Leuchten. Stühle & Hocker. Kat_Wohnen Kat_Dekoration Kat_Garten. Sie erreichen uns: Mo - Do 9 - 17 Uhr / Fr 9 - 16 Uhr. Jeder Flußstein hat über Jahrtausende, einen langen Weg durch die Tropenflüße Indonesiens bis in Ihr Zuhause zurückgelegt. This item is well made of premium material for durable and practical use. 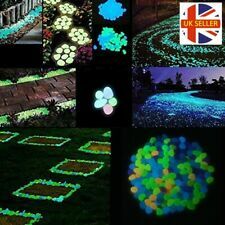 So the path is more particular to create a style of your own garden path. It is great for paving patios, paths, courtyards, walk ways, pave driveways, etc. Forever with the Angels, Always In our Hearts. You are purchasing 2pcs of our 14”x8” diameter Lion Head Casting Molds. Easy to use for all ages and experience levels. Simply add concrete, plaster, gypsum or any casting type material to the mold, allow proper drying time and enjoy! Use your finished products on the interior/exterior of your home or garden. It's great as a craft activity or for a professional project. These molds can be used for future projects over and over again. *Be sure to use a mold release (cooking grease type material) when casting from detailed molds. This will also prolong the life of your molds. By Spoontiques. this beautiful garden stepping stone reads. "Gone yet not forgotten. and can also be used as a decorative wall plaque. You get five (5) molds that make a natural 7 /- sq. ft. pattern. 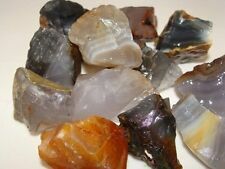 Add our other five OAF Sheets,(available in our St o r e), to get an even better "mix" of stones for larger areas. WE SHOW YOU HOW TO MAKE THIS HAND-CRAFTED FIELDSTONE LIKE THAT PICTURED, WITH OUR FREE INSTRUCTIONS AND MOLDS. Matches21 XXL Trittsteine großer Tatzen Pfoten Abdruck 2 Paar (4 Stk.). Tritt-Steine Beton Garten 30x25 cm dekorative Tretsteine. Auch bekannt als: Ziersteine Ziertatzenprofil Gartenpfotenabdruck Dekosteine Tretsteine Tritt-Steine. YOU ARE PURCHASING A SET OF TWELVE (12), 6"X6"X1-1/2" OLDE CASTLE COBBLESTONE MOULDS TO MAKE CUSTOM-COLORED, HAND-CRAFTED, FLOOR, COUNTER, AND WALL STONE. IN ANY COLOR YOU WANT! GREAT FOR COUNTERS, PATIOS, POOL SURROUNDS, COBBLE TYPE PATHS, AND WALKWAYS, ETC. GlobMarble Paver Stone Molds. The stone making instruction also available on GlobMarble website. 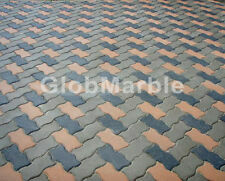 Plastic paver molds produce smooth and high quality paver stones and paver tiles. Different patterns of paver stone and tile molds are available for precast concrete process. Paver stones and tiles can be manufactured with a minimum infrastructure. Unseen, unheard, but always near, so loved, so missed, so very dear". Paver Stone Mold. Pathmate, Concrete, Stepping, Stone, Mold, Random, New. The stone making instruction also available on GlobMarble web site. Concrete Stepping Stone Mold. Stepping Stone Mold. Paver Stone Mold. Pathmate, Concrete, Stepping, Stone, Mold, Random, New. The stone making instruction also available onGlobMarble web-site. Concrete Stepping Stone Mold. VENEER STONE MOLD VS 101/2. RUBBER MOLD. DECORATIVE CONCRETE. CASTING. Carson Beadworks Garden Stones Pet Bereavement Heart 9.75" X 9.25"